There are few greater activities than paddle boarding on a bright, sunny day. But if you’re going out on the water, it’s important to protect yourself from the sun’s harmful rays. One of the best ways to protect your head and face is a hat. 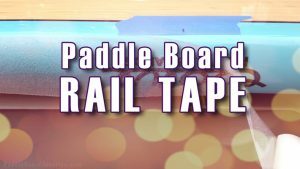 In this review, we’re going to cover some of the best hats for paddle boarding, (and their relative prices) so you can enjoy the blue without turning red. 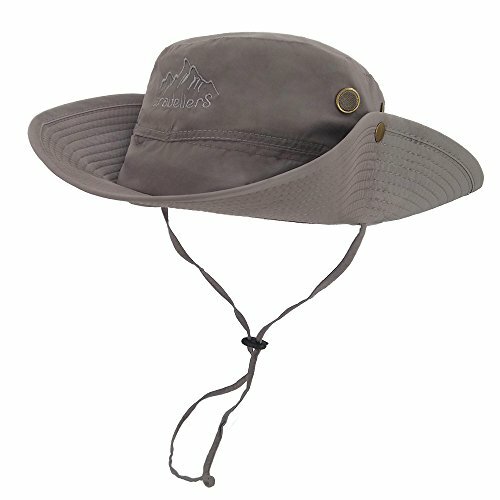 The Afala Outdoor Hat, with its UPF50+ rating, is guaranteed to protect you from the sun. It’s lightweight, foldable, and features an adjustable drawstring to prevent falling off your head. 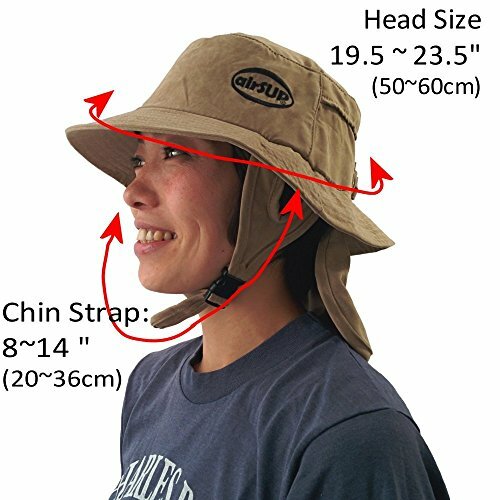 Its wider, sturdy brim protects the ears, face, and neck! It is designed for heads with a circumference of up to 23,” and comes in dark blue, khaki, dark grey, and light grey. If you purchase the hat and it doesn’t fit to your liking, Afala does offer a full refund. This one-size-fits-most, adjustable hat is a great option, particularly because of its waterproof construction. The LETHMIK is made from high quality polyester and boasts a UPF of 50+. The flexible brim can be worn down or up, and the hat easily folds to take up little space when packed (can even fit into a pocket!). The adjustable chin strap keeps the hat on in windy conditions, and air vents, along with mesh, keep you cool with air flow. One concern among some customers was the size. While it does fit most adult heads, reviewers with larger head sizes found the hat to be snug. Fits sizes 7- 7 ⅝ (22-24 inches). 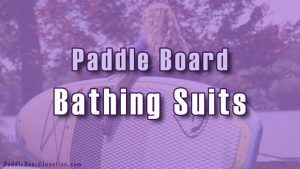 This unisex, one-size-fits-all paddle board hat, with an average rating of 4.7 out of 5 stars on Amazon, is built specially with paddle boarders in mind. It’s designed like a surf hat, but with another big perk: a neck flap to offer more protection. Made from polyester, this hat dries fast and keeps you cool with vents, which allow airflow. It also has a hard brim to shield the eyes, but not obstruct the view. Comes in black or sandy khaki. 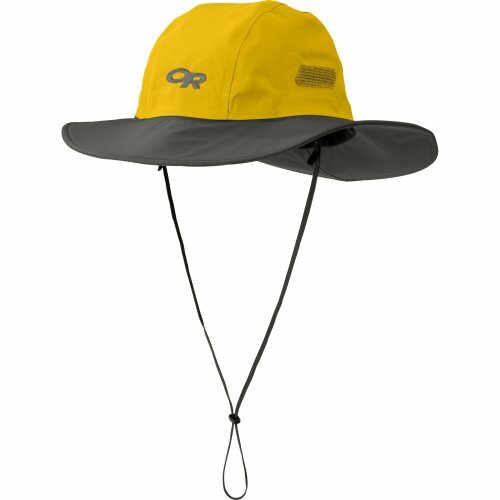 The Outdoor Research Sombrero, though the priciest option on this list, is the most reviewed and one of the highest rated. It comes in four sizes: small, medium, large, and X-large, but can also be adjusted for a better fit. It is made of 3 layers of waterproof, durable Gore-tex material, while maintaining comfort. 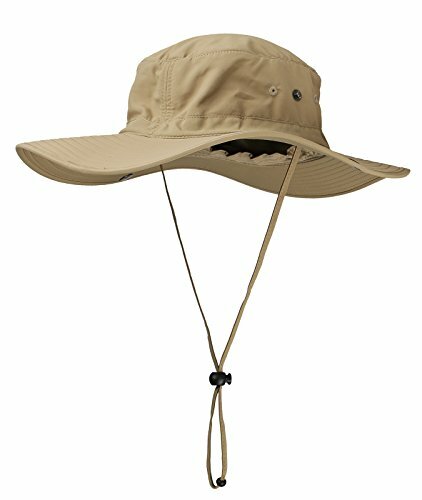 The hat is perfect for sunny and rainy days, and the removable, adjustable strap will keep the hat on on windy waters. The foam-stiffened brim can be worn down or popped up. While the dome can easily be collapsed if needed, be careful with folding the hat brims, as a crease in the foam can last. The Outdoor Research Seattle Sombrero Hat comes in assortment of colors: yellow/dark grey, abyss/black, black, forest/black, glacier/dark grey, khaki/java, multicam, orchid/dark grey, and redwood/dark grey. NOTE: not all colors are available in every size. 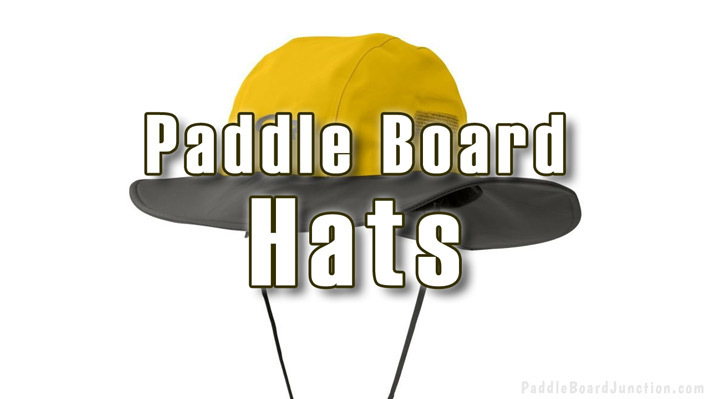 A paddle boarding hat should be on the top of every SUPers “must have” list, especially if you’re going out on a hot, sunny day. 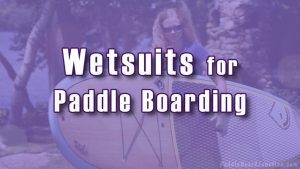 They protect you from UV rays, which can cause sunburn and poisoning, so you can stay on the water longer and more comfortably. The biggest concern is the fit, so if you can, purchase different sizes and keep the best one! But first, check to see if the company offers refunds. 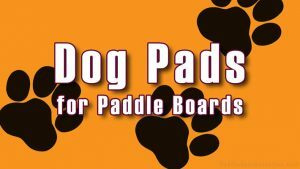 With that, best of luck and happy paddling! 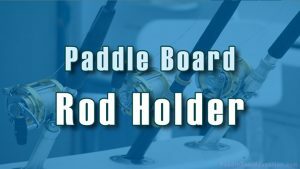 © 2019 | Paddle Board Junction | All rights reserved.